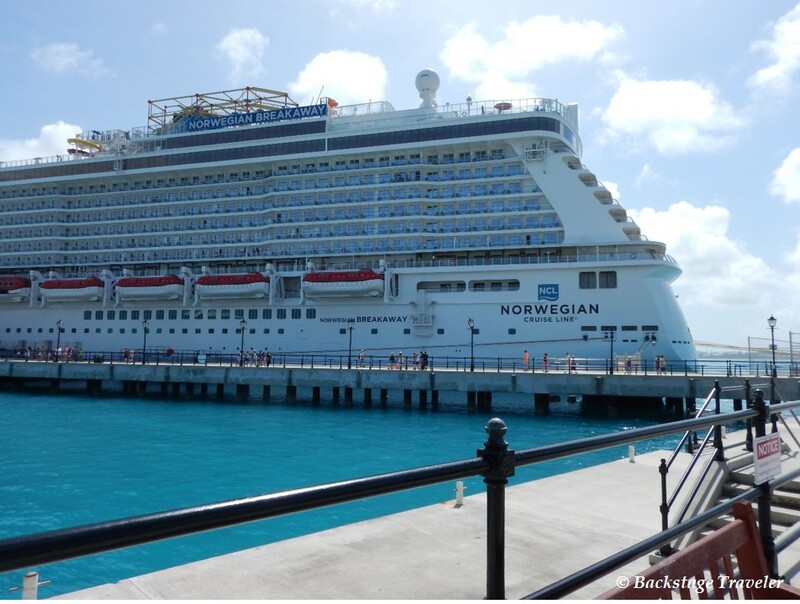 The Norwegian Breakaway was launched in 2013 with a capacity of 3969 passengers for it's 1262 staterooms and suites. It was not the largest ship to join the fleet of Norwegian Cruise Line, but it was the first Norwegian ship to boast a ropes course at sea. This family-friendly activity incorporates a feature called the "Plank", where climbers live out their pirate fantasies (or nightmares) by walking out 8 feet from the side of the ship on a beam no more than 4 inches wide, with nothing but the sea below - far, far below! 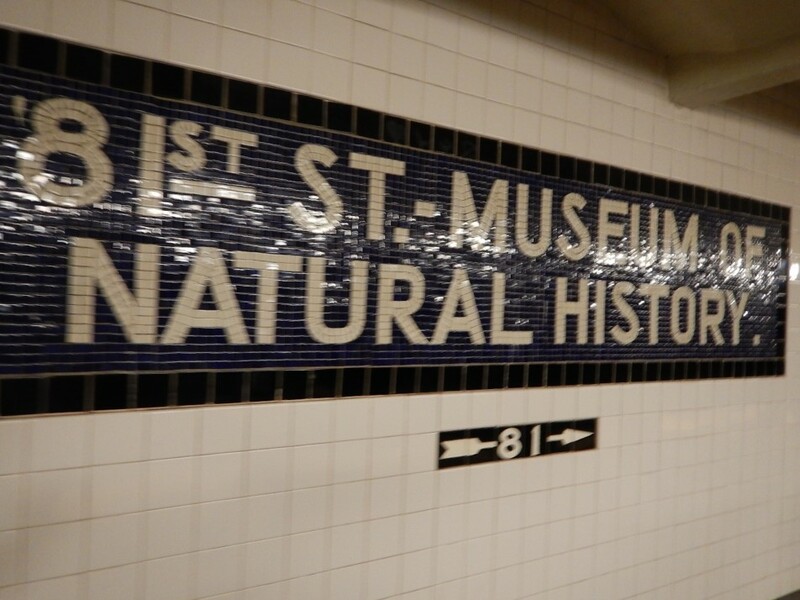 When in New York City with the kids, most families make a stop at the American Museum of Natural History, in front of Central Park West at 79th Street. This is the museum featured in the 2006 movie Night at the Museum, starring Ben Stiller as a night watchman who discovers that the exhibits magically come to life at night. It was a beautiful sunny morning when we cruised into Alaska's Glacier Bay National Park on Holland America Line's MS Zuiderdam, July 20, 2011. There were very few clouds in the clear blue sky, and glacier viewing conditions were excellent for this highlight of our Alaskan Inside Passage cruise. We entered the park at 6am, with two park rangers boarding shortly afterwards. Throughout our stay in Glacier Bay, they provided informative commentary as we slowly made our way north towards Margerie Glacier in Tarr Inlet, located near the Canadian border. 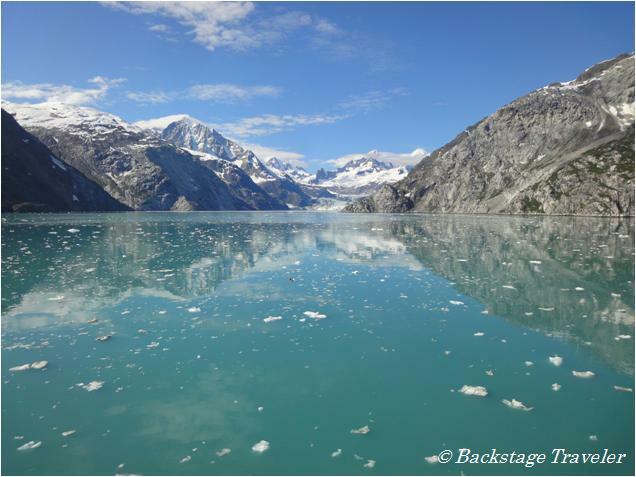 Beautiful sunny day in Glacier Bay, mountains reflected in the calm waters. 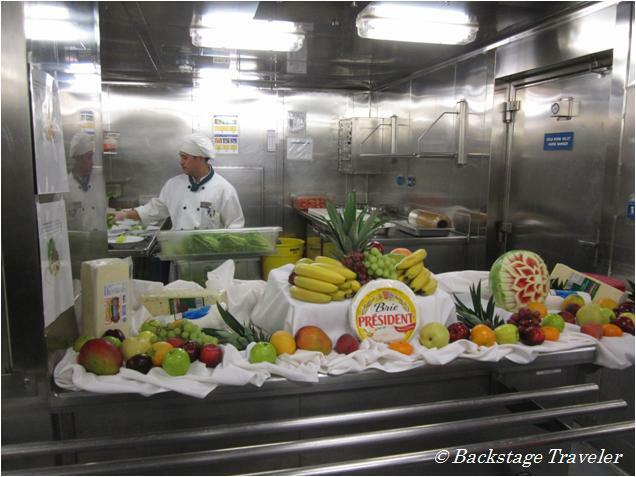 A typical cruise on Holland America Line's ms Zuiderdam might carry almost 2000 passengers and 800 crew members. Preparing food to feed all of these people is an immense task, and during our recent sailing on the Zuiderdam, cruisers had the opportunity to take a short "behind the scenes" tour of the main galley, where most of the passengers' meals are prepared. 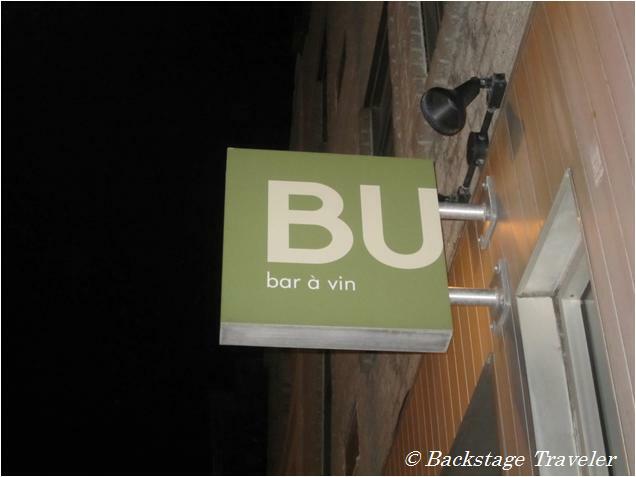 Garde Manger or Cold Kitchen, where all cold appetizers, sandwiches, cheese plates, salads and juices are prepared.